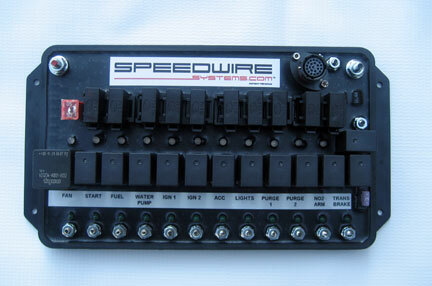 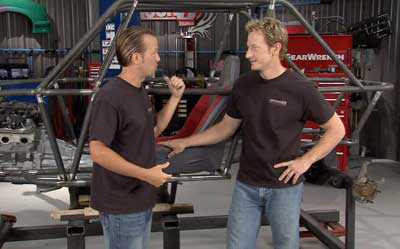 Your Speedwire System comes with complete instructions for easy installation by the professional or novice racer. 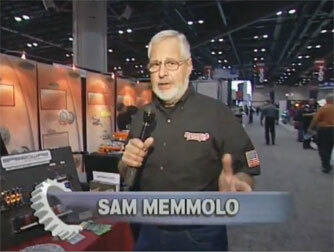 The micro processor nitrous controller with LCD diplay also has Line and Motor purge control. 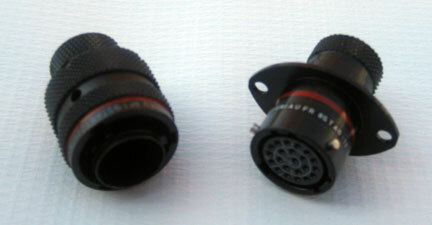 Our 12 relay boards can be optioned out with this aerospace F1 Connector. 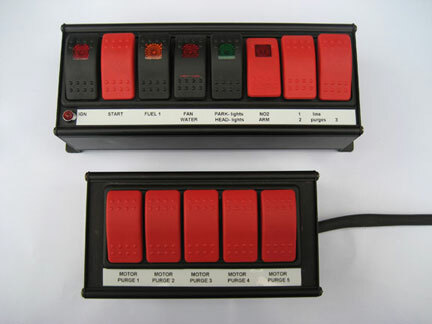 As well the boards have reverse polarity protection and have larger current caring capacities. 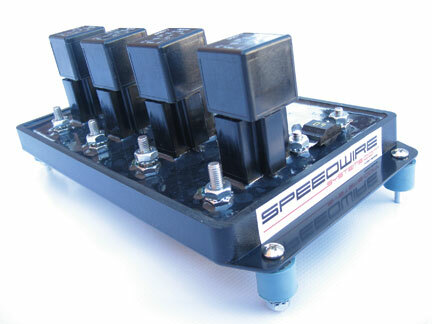 The 6 bay board is similar to our other larger main board though it only has 6 outputs and also has an optional ignition interrupt and additional safety features. 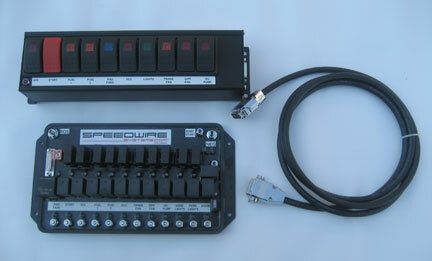 As well as our typical diagnosing features for fuses, inputs, outputs. 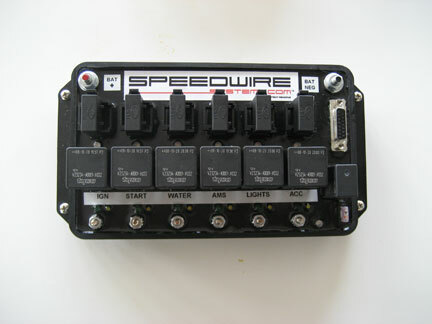 We can also manufacture relay controllers for Promodified cars that will work together with nitrous, to be triggered with full throttle and can be applied to activate on any gear, please call us for more information to help in design of a system that is right for you.